This meeting was unique in nature in that no presentation was prepared and no suggestions or ideas were presented by The Collective Sedona to the audience members. Rodney facilitated a conversation between the community members and himself and highlighted several pain points that have been raised by tenants that they wish would be addressed. The following notes were taken on large pads of paper to help with discussion. There were opposing views on several of the topics which were taken in to consideration by Rodney and his team when creating the presentation for meetings #2 and #3 – notes on those meetings to follow. The Collective Sedona team closed the meeting after an hour and a half of discussion and spent the next few weeks combing through the discussion points to come up with a presentation of facts, ideas, and suggestions all filtered through the rules in the P.A.D. that limit how these topics can be addressed. See the next blog post for more information about meetings #2 and #3. Special thanks to The Hilton at Bell Rock for the use of The Tequa Ballroom for this meeting. 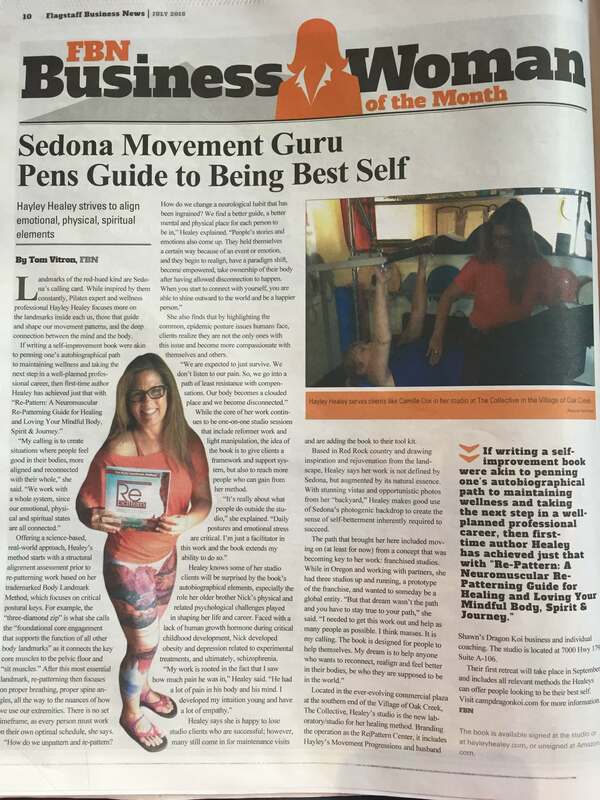 The Collective Sedona has some of the most interesting tenants – take Hayley and Shawn Healey from Hayley Healey/Dragon Koi Coaching at the Re|Pattern Center. This power couple has focused their combined energy to help people heal and grow physically, spiritually, and mentally. Check out Hayley’s article as she was awarded FBN Business Woman of the Month! More like Bad*ss Woman of the Month if you ask us! Are we allowed to say that here? It’s our blog – I guess we can do what we want! Congratulations Hayley! As you say, “love your life” – it seems to be loving you back too! That same weekend, The Collective Sedona will also be hosting their monthly Second Saturday Art Walk on March 11th from 5 – 8pm. “We’re happy to have the Jerome Yukele Orchestra led by Tommy Rocks Anderson perform at this event,” said Anita Capps, Community Experience Manager for The Collective Sedona. The Second Saturday Art Walk event features artwork on display and for sale by local artists, live art demonstrations and live music. Individual shop owners will be open late that evening offering an assortment of refreshments and snacks along with special discounts. On Thursday, March 9th, NAWBO, the National Association of Women Business Owners will have their monthly luncheon at Serenitie Burger Bar at The Collective Sedona. The luncheon runs from 11am to 1pm and will feature guest speaker Gerrie Sidwell discussing Micro Loans and Grants for Women Business Owners. This discussion will explore funding options for women-owned businesses. Those who are interested in attending can sign up on NAWBO’s website or purchase their ticket at the door. On Thursday, March 23rd, The Collective Sedona will host a Sedona Chamber mixer from 5:30 to 7:00 pm. The last Chamber mixer at The Collective was held in January of 2016 and the management is excited to showcase all of the changes and improvements that have occurred over the last year. There are expected to be 150 to 200 people in attendance touring the beautiful facilities including Vista Hall, the courtyard and the Culture Studios. Tickets can be purchased through the Chamber ahead of time or at the door, $10 for members and $15 for non-members. Sedona isn’t exactly a place known to many visitors, but it is one of the cities you would really want to put on your travel bucket list. Before going into interesting details, Sedona is a beautiful city in the US state of Arizona with more than 10,000 residents. It is a thriving southwestern metropolis that takes pride in its culture and world-class tourist attractions. Without a doubt, Sedona will surprise you with so many exciting and breathtaking wonders that you can’t find anywhere else. But what can you do in this town to get rid of your boredom and make your stay more worthwhile? There are so many things to do in Sedona. Adventures, shows, eating, shopping… Name it, Sedona has it. If you are an adventure-seeking person, then buckle up and get ready for fun-filled Sedona activities in the company of nature. You can do bird watching, golfing, hiking, mountain biking, and photography, to name a few while looking at the famous red sandstone formations that glow when they are illuminated by the sun. Aside from the physical activities, it is also highly recommended to avail its Pink Jeep Tours and go sightseeing and visit the town’s natural wonders like the Oak Creek Canyon. But if you wish to keep a low-key vacation, then you can visit art galleries where you can view art pieces made by local artists or spend your time in spas to experience a soothing and healing therapeutic massage. After doing the activities, experience the Sedona events, which are perfect venues for family bondings. The events are usually held every weekend, so you have no reasons to get boring even on Saturday and Sunday. You can go to concerts and enjoy an iced cold beer, watch movies, laugh out loud at comedy shows, have a nightlife, or just spend time with your family in family events. In any case you get hungry, don’t worry. There are many Sedona Restaurants to choose from. There is the Cucina Rustica that primarily serves Italian dishes. If you wish to try local cuisine, then head to The Village Grind where live music and a comfortable atmosphere take your breath away. Are you craving for fast food? Well, burgers at Serenitie Restaurant & Burger Bar would be the best choice. If you can’t live without a hearty breakfast and a cup coffee, then you can either go to Historic Brewing or Miley’s Cafe – or both. It would definitely be worth it. Do you want to sing your heart out, play billiards, and enjoy an upbeat music? You have the Full Moon Saloon to keep you company. And before you even leave the place, don’t miss to experience a romantic Sedona dining with your partner at J Wine Bistro where the place’s romantic ambiance makes your date a perfect one. Shopping in Sedona IS A MUST! If shopping doesn’t bore you, then you have the Bilby & Moss Boutique where you can buy fashionable and trendy clothes. For handicrafts and fashion items, The Chai Spot is a perfect place. You can have a sip of the delicious Chai Tea. 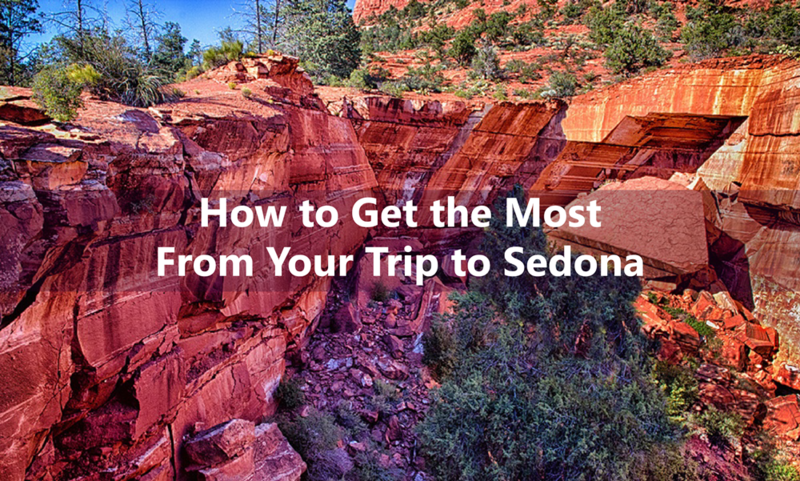 After knowing all of these, do you think you’ll still be bored in Sedona? Impossible! You’ve been to Paris to see the iconic Eiffel Tower. You’ve been to India to see the majestic walls of Taj Mahal. You’ve been to the cities of New York, Tokyo, Sydney, Bangkok, London, Rome, and Seoul, experiencing the things that make them famous all over the world. But have you heard about Sedona? Although it doesn’t have the same popularity level as the aforementioned places, but Sedona is another haven of natural wonders and world-class establishments that you would love to visit. A town with a population of more than 10,000, Sedona is in the state of Arizona and has been well-known for its red sandstone formations that brighten into red and orange when illuminated by the sun The rock formations attract both local and foreign tourists every year. They have also become the center of attraction when visitors do various activities while on their vacation. Apparently, this city isn’t a big one, but there are so many Things to Do in Sedona, and in that regard, here’s how you experience Sedona to the fullest. Sedona activities are totally worth every penny. You can start your vacation by booking a sightseeing tour, which is highly recommended by travel experts. The tour will give you the opportunity to see and photograph the natural splendors that you don’t get to see in other places. After your excursion, you can go mountain biking along the 239-mile bike-friendly trail, hiking to see more breathtaking panoramic views, golfing at Sedona Golf Resort, and/or fishing just for the pleasure of it. And oh! Art galleries and therapeutic spas are a must, too! 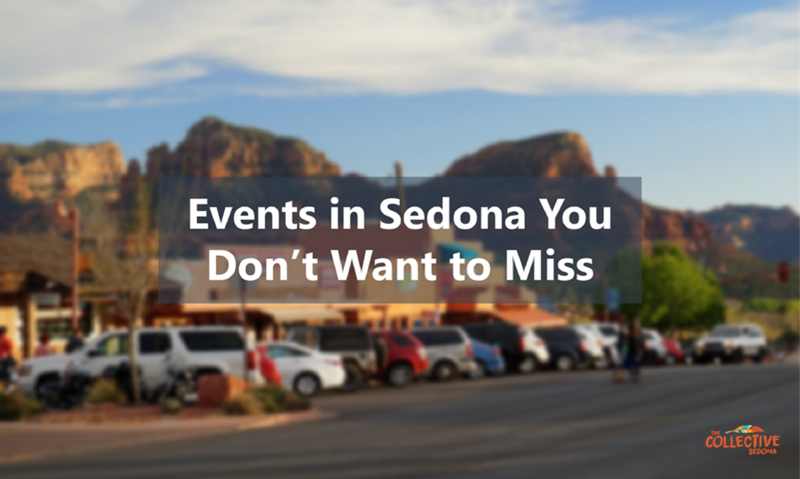 When you don’t have anything to do during the weekend, you’d really want to witness the Sedona Events that offer different types of shows. You can spend your time listening to local artists having concerts or watch movies with your family. If you want to have a good laugh, then Sedona has comedy shows that will definitely tickle your funny bones. And because Christmas is around the corner, there will be a radio play that talks about the Yuletide Season. Maybe you’d love to witness an impressive performance from Sedona’s very own Emerson Theatre Group. A vacation will never be complete if you can’t taste the city. Fortunately, there are many Sedona Restaurants that offer sumptuous meals and a great ambiance any time of the day. Local cuisine, international cuisine, bars, wine, coffee – anything you’d like to eat is available in this city. And if you and your partner want to experience a romantic Sedona dining, then you can try J Wine Bistro, which has a local seasonal menu and a lovely atmosphere to complement the night. Now, that’s definitely worth a try. You shouldn’t leave the town without shopping in Sedona. A beautiful city deserves to be remembered and taken home in the form of souvenirs, and because of that, Sedona has souvenirs shops and gift stores where you can buy particular items that will help you remember how amazing Sedona is. It also has fashion boutiques to satisfy the fashionista in you. There you have it. That’s how you experience the awesomeness of Sedona. However, one day is not enough to get to know the place. Spend longer days, and you’ll certainly fall in love with the beauty of Sedona. 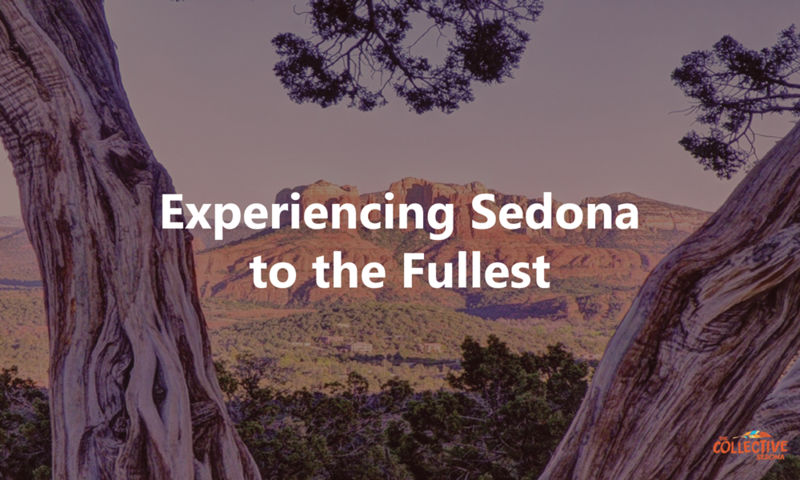 If you’re looking for a place to enjoy incredible views, stunning sunsets, fantastic red rock formations, and all close to a town with a lovely atmosphere, then Sedona should be next on your list for southwest travel! This placid desert town is charming and beautiful, and is surrounded by some of the most magnificent sights in Arizona. Traveling to Sedona is a must-do for all nature lovers! 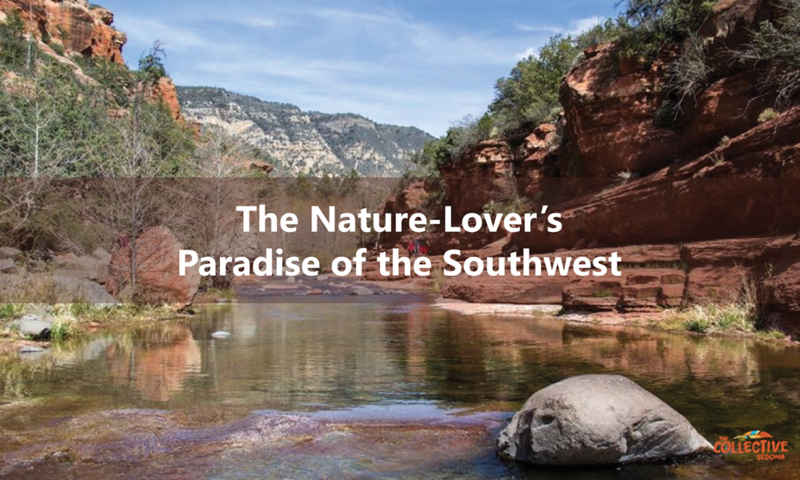 So how can you truly enjoy all the natural wonders that Sedona has to offer? As you enter into Sedona, Bell Rock will probably be one of your first sights. This enormous and unique monolith is an incredible thing to see from a distance, but up close it’s even better! The path that circles this giant formation is a moderately difficult walk that will intrigue you, giving you all kinds of different angles and ways to see this beautiful creation. Known as a mini Grand Canyon, this beautiful gorge offers some stunning views. One way to see it is by driving along Highway 89A, wandering the twisty road and viewing the incredible sights down to the valley below. The perspective is really fantastic from here. While you’re driving along this road, you’ll be able to stop at another great Sedona activity, the Slide Rock State Park! This is a truly fantastic way to get in touch with nature, and have fun slip-sliding down the natural water slides. There are also different trails and hikes that you can take off this same road down into the Oak Creek Canyon, such as the West Fork Trail. However you choose to enjoy this site, your day will be well spent in admiration of the natural beauty of red rock country. In the middle of the desert, with so little light pollution, you will be amazed by the amount of stars that you can see. Heading out for a star tour at night, or even just looking out the window of your hotel room, will offer some absolutely incredible views. The stars shine so much brighter in Sedona, and it is truly an incredible experience to see the Milky Way all lit up before your eyes! Just make sure that the weather is good for viewing, and head to the desert to experience the stars like never before. Traveling to Sedona is a wonderful experience for those who enjoy nature. Sedona hiking is a great way to really see the natural beauty of this area, along with many other activities that make this place a true nature lover’s paradise. Traveling to Sedona opens your mind to so many different wonders. It is truly incredible to see in person the variety of activities and experiences that are available to you in Sedona. Whatever your travel party is looking for, you’ll be able to find it in this lovely southwestern town! So how can you truly appreciate the best that Sedona has to offer? There are so many ways to enjoy and explore the red rock country that surrounds Sedona. Seeing such impressive sights as Cathedral Rock, Oak Creek Canyon, or Bell Rock will leave you with beautiful memories that will last you a lifetime. To beat the heat on those long summer days, head to Slide Rock Park and enjoy these incredible natural slides! This is fun for the entire family, and will leave you feeling relaxed and refreshed. Speaking of relaxing, don’t forget that these tranquil surroundings are also home to some beautiful spas! The Sedona Health Spa in The Collective off Route 179 offers some fantastic natural treatments for good prices, and you’ll be able to truly relax with a massage, a facial, and even acupuncture treatment. This developing wine country is home to some absolutely gorgeous vineyards. You’ll be able to go explore the beauty of this country and taste its delicious result! The friendly owners of these lovely vineyards will allow you to come in a take a tour, then spend some time tasting the end product of their hard labor. Try out Oak Creek Vineyards, or Four Eight Wineworks. Sedona shopping is a truly eclectic and fun experience that you may not have expected in your southwest travels. The town of Sedona is home to a wonderful art community that is proud to display its pieces to any and all who want to see them. While shopping in Sedona, you’ll see everything from beautiful art pieces, handmade jewelry, Native American designs, and so much more! If you’re looking for anything from pristine fashion to fun home decorations, you’ll find it in Sedona! For a fantastic shopping experience, check out The Collective, located on Route 179 just outside of Sedona. Here, surrounded by beautiful red rock country, you’ll be able to have some wonderful shopping opportunities, and then finish off your busy day with a bite to eat in one of their fantastic restaurants. Traveling to Sedona is a wonderful experience for so many reasons. Sedona activities are varied enough to fit nearly every person’s needs, making it an essential stop for southwest travel. Sedona, Arizona is a gorgeous area of arid landscapes with incredible red and yellow hues. The striking mountains, sloping valleys, and sheer cliffs all stand as a beautiful tribute to the natural world. However, the stunning natural sights are not all that Sedona is comprised of. 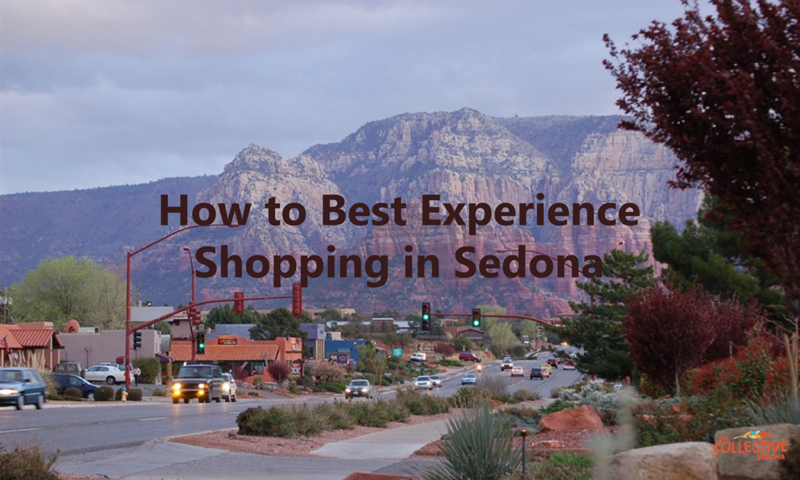 If you’re looking for a travel experience that is dotted with some fantastic shopping experiences, then keep reading to see how you can take the adventure of the best shopping that Sedona has to offer. The culture of Sedona reaches back to the beginnings of America, with deep Native American influences. Within this eclectic combination of modern fashion and culturally charged designs, you will find some very unique and interesting pieces. If you’re looking for a place to experience the best shopping that Sedona has to offer, you must visit The Collective. Located in what was formerly called Tequa Plaza off of Route 179, this eco-friendly and culturally diverse shopping plaza will satisfy even the most particular of shoppers. Graced by beautiful views and a convenient location, you will be grateful you stopped to appreciate this lovely spot. If you’re looking for chic yet affordable clothing, check out the Bilby and Moss Boutique. On the other hand, when in search of designs that reflect the beautiful Red Rock surroundings of Sedona, check out Adorn Collection, featuring pieces you can display around your neck or in your home. Handmade pieces always make excellent gifts or souvenirs, so be sure to check out The Chai Spot for beautiful handmade fashion pieces, and experience this diverse shop with a cup of wonderful Chai tea. If you’re looking to bring back a souvenir from your trip to the southwest, or a gift for one of your loved ones, then the best way to truly bring back the essence of Sedona is by reaching into its roots. In The Collective, you will find art galleries that feature beautiful Southwest art and Native American art, including pottery, sculptures, paintings, and prints. Check out the Bearcloud Art Gallery, The Zona Gallery, and the Sedona Arts Center to experience these beautiful pieces and find one to take home with you! Traveling to Sedona is an experience in and of itself. Appreciate it more with lovely Sedona shopping, and bring back a piece of your southwest travels. If you’re traveling through the southwest, Sedona is a beautiful place top stop and enjoy Red Rock and the arid desert surroundings of this beautiful town. 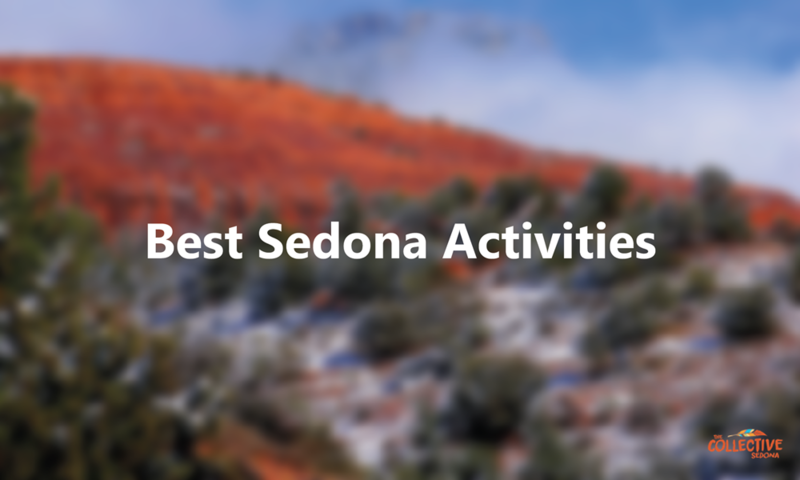 Known for its eclectic art community and beautiful, family-oriented residents, this charming small-town atmosphere is added to by some lovely traditional events and activities that you absolutely must see while traveling to Sedona! Celebration of Spring– This family-friendly event held in April is full of great activities for kids and parents. For $5, kids 12 and under can experience the petting zoo, duck races, carnival rides and more! Sedona Open Studios Tour– Experience Sedona art in the best way possible during the end of April when the studios of local artists are opened to the public. Get to know the artists in their own workspaces and dig deeper into their beautiful creations. Sedona Main Street Paint Out– If you’re heading to Sedona in October, check out this great tribute to local Plein Air Artists. You’ll be able to walk up and down the streets and plazas of Sedona and watch the local artists as they each complete a painting in 2 hours. Red Rocks Oktoberfest– If you’re looking for unbeatable craft beers, then Oktoberfest is something you can’t miss out on! Enjoy this spritzing of German culture with food, music, and of course, beer! The Collective Market– Featured the 1st and 3rd weekends of every month, you’ll love to see how the shopping area known as The Collective is brightened by the presentations of local vendors. You’ll be able to find absolutely anything, whether you’re in the mood for handmade jewelry pieces, local fruits and veggies, delicious organic teas, and even more! This cultural experience brings you the atmosphere of a small southwest town and adds another level to your Sedona travels. Art Walk– Don’t miss out on the fantastic art walk that is featured on the second Saturday of each month. You’ll be able to experience local artists as well as those from afar, and different local wines and beers. Enjoy this cultural experience while listening to live music. Sedona, Arizona is filled with eclectic events and activities for refined tastes. If you’re traveling to Sedona and you want to truly experience the culture of this eclectic southwest town, then don’t stop at just the beautiful natural wonders. Get involved in Sedona events and activities and enrich your southwest travels.